This is a real cool demo by a band that got its start in Connecticut in the late eighties. It wasn't until 1992 that this demo actually made it out into the public eye. 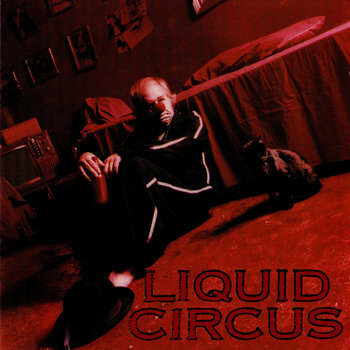 The five-member Liquid Circus played dirty street heavy metal with a melodic, hair band flair. They sounded similar to such contemporaries like Law & Order, Mind Funk, Tora Tora with a mix of White Zombie. Those of you who attended the infamous Foundation Forum conventions in the early nineties will recall this sound! There are three cool tunes of groovy metal here, "Walk", "Hello" and "What's Become Of Me" - all three songs are only available on this one and only demo by these killer rockers. The cover is a nice fold-out printed on both sides with all the lyrics and extensive credits throughout. The production is powerful and very professional. Great stuff guys! Мне кажется, что рановато снимать рэкса. Андрей, напиши пожалуйста на MS и попроси у музыкантов песню "Hello". Я бы написала, но не зарегистрирована там пока. Я бы написала, но не зарегистрирована там пока.